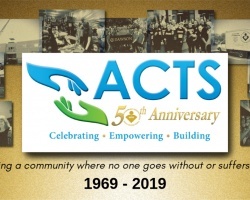 In 1981, ACTS was approached to establish and operate a round-the-clock hotline service for the residents of the community. This service was called ACTS Helpline and has been operated from its inception by dedicated staff and volunteers. The program is an information and referral service for public and private sector services both of a routine and an emergency nature. Additionally, it is a crisis intervention service that provides assistance for a wide range of clients up to, and including, those who are victims of sexual assault (SAVAS) and those who threaten suicide. Since 1994, it has been the initial contact and facilitator of a support group Surviving After Suicide (SAS) for friends or family members who have lost a loved one to suicide. A call reassurance program, Senior Link and two depression awareness support groups for senior adults were initiated in 2005. 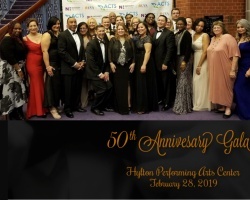 Helpline is certified by the American Association of Suicidology (AAS) and participates in the National Suicide Prevention Lifeline, the national suicide crisis line. Over 2,000 calls are answered a month, providing help to those who need it the most. In addition to the over 4000 other phone calls answered by ACTS 24/7/365 Helpline, our specially trained staff and volunteers respond to approximately 500 calls each month from individuals contemplating suicide. Calls come from the local area, and in our role as a backup center for the National Suicide Prevention Hotline we receive overflow calls from the national center. Our Crisis Listeners are on hand to provide a lifeline to those who see no way out but to take their own lives. We listen, comfort, assess the level of danger present, and provide referals to other ACTS services and other community partners. Due to our national reputation, Prince William County police contact ACTS whenever someone in the county takes their life. Immediately, trained members mobilize and are onsite with the individual or their loved ones. While the first responders are doing their job investigating the tragedy, we are providing comfort and support to the family – and often to the first responders, as well. Surviving After Suicide (SAS) is a free, confidential, non-judgmental, mutual support group whose goal is to provide support in a safe environment to family members and friends who have lost a loved one to suicide. Anyone who has lost a friend, family member, or significant other to suicide is invited to attend. 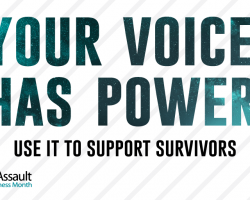 Renewed Hope is for those who have attempted suicide, providing ongoing support in a caring environment where individuals can connect with others suicide survivors in a group format. By meeting with others who have had similar experiences, individuals find new ways to find peace and hope in their lives.